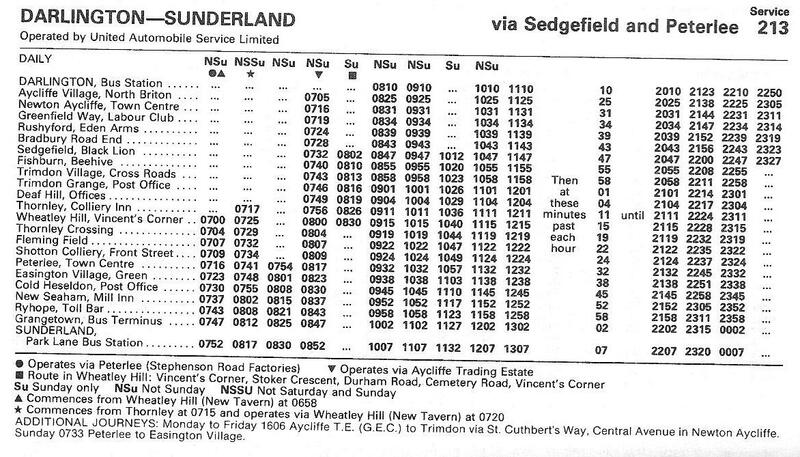 As it says in the title, this service ran between Sunderland and Darlington via Peterlee, The Trimdons, Sedgefield and Newton Aycliffe. 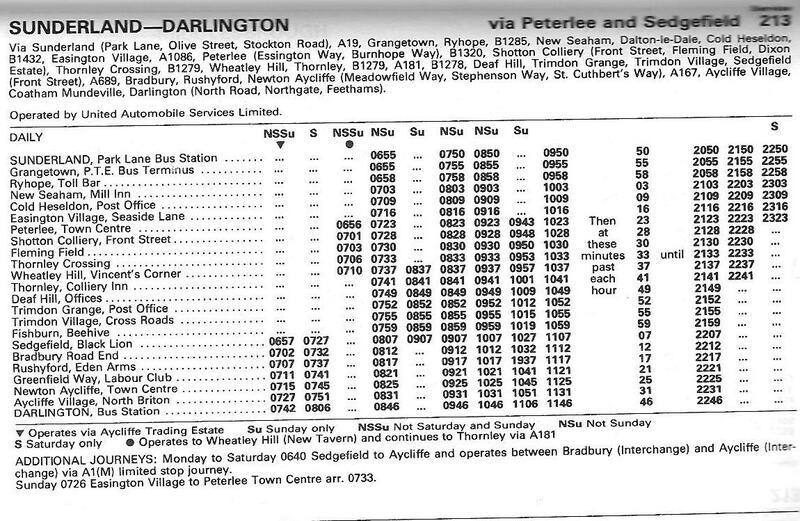 If you wanted to travel from Sunderland to Darlington now it would probably involve an Explorer ticket as the quickest way would to get the Prince Bishops ’20’ or ’20X’ to Durham and transfer there. Is there even a bus between Peterlee and Darlington now?